Few weeks ago, I noticed three pieces of sprouted onions in my refrigerator vegetable drawer. 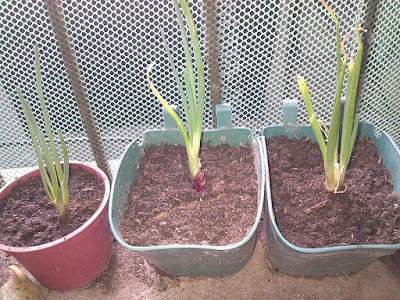 I remembered the saved step-by -step procedure on how to grow onion on my Pinterest Urban Gardening board. 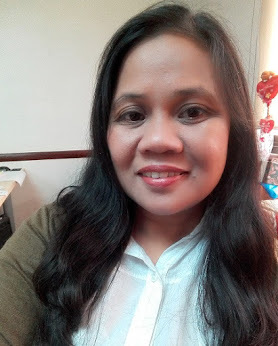 I devoted few minutes last Saturday in planting those sprouted red onions, grabbed my gardening tools and followed the simple procedures I got from Pinterest. Purchase some onions and allow them to sprout in your pantry or drawer. Peel the outer layer, avoiding the roots that might be growing between layers. Carefully cut around the base, removing the rest of the second half of the bulb until the innermost layer is left. 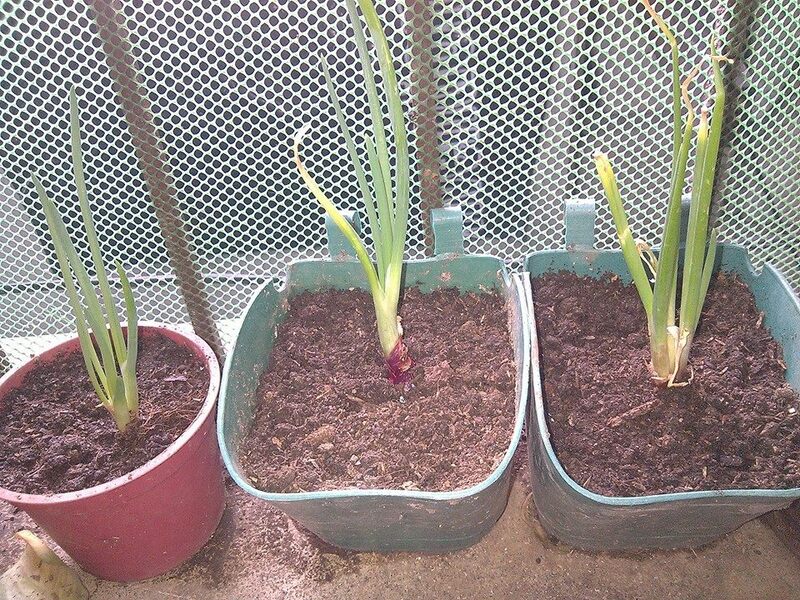 Grab a small pot (plastic, terracotta or up-cycled planters), fill it will soil and plant your sprouted onions. Water them, and place them in an area in your garden that receives ample amount of sunlight. Presenting, three pots of red onions!